Editor’s Note: Welcome to Fang Fingers! This is where our pal Codey Holland, one of our favorite Preds bloggers in town, tells us what’s up with our beloved hockey team. 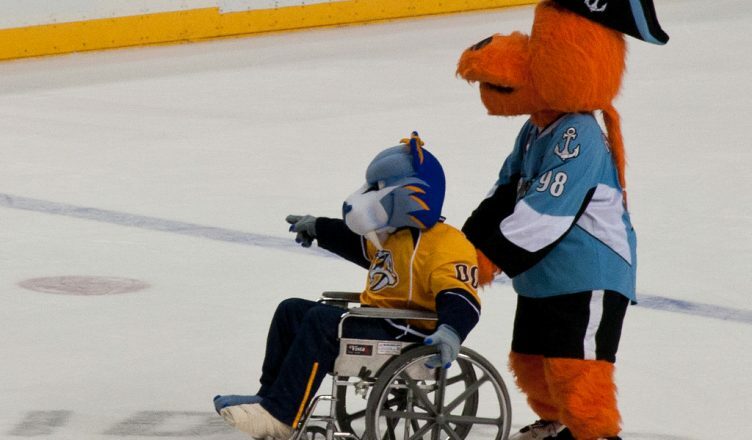 Codey has been one of the forces behind Section 303 over the years, and calls the Bridgestone Arena his home away from home. The Nashville Predators approach the half-season mark teeter-tottering with a playoff spot and dealing with a myriad of injuries (Oof!) Lofty pre-season expectations are fading like Marty McFly’s family photo and some are ready to toss the Panic Catfish onto the ice. Injuries, while not an excuse, are becoming a significant part of the narrative. Blockbuster trade target Pernell Karl (P.K.) Subban is recovering from a lingering upper-body injury and sniper James Neal has spent time on the injured reserve as well. Colin Wilson and Roman Josi most recently joined the list of wounded with questionable timeframes to return. Individually, any of these players being out of the lineup has an impact, but to have three all-stars and a veteran player out of the lineup at once would present challenges on any team. On the positive, several depth players are seizing the opportunity to cement lineup spots. Viktor Arvidsson started the season on pace with the NHL’s best offensive players, impressing many with his grit and determination. Juuse Saros, the eventual replacement for Pekka Rinne, has shown significant growth between the pipes. Forward Austin Watson is contributing offensively as of late and has already established a new personal career high for points. Sure, Shea Weber isn’t walking through that door (Montreal made their visit on January 3rd), so the young, scrappy, and hungry Predators are going to need a strong second half to find their way back to the playoffs.